As American owned Motel, we have a different take about being pet friendly! Free nearby Fick Fossil Museum, considered one of the top 25 museums, according to the San Francisco Chronicle. Big screen TVs in many of the rooms. there is a slight charge for the pet, to cover the extra time and care, cleaning the room for the next guest. 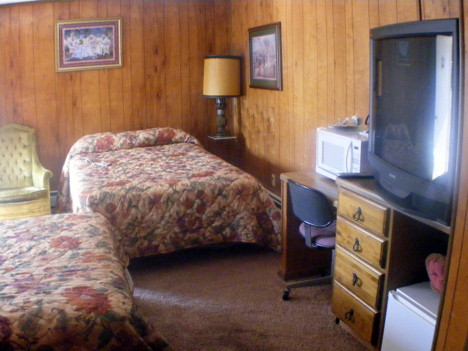 Clean, comfortable, homey rooms with parking in front of your room. Free breakfast voucher for all in your family! Why is this motel unique? 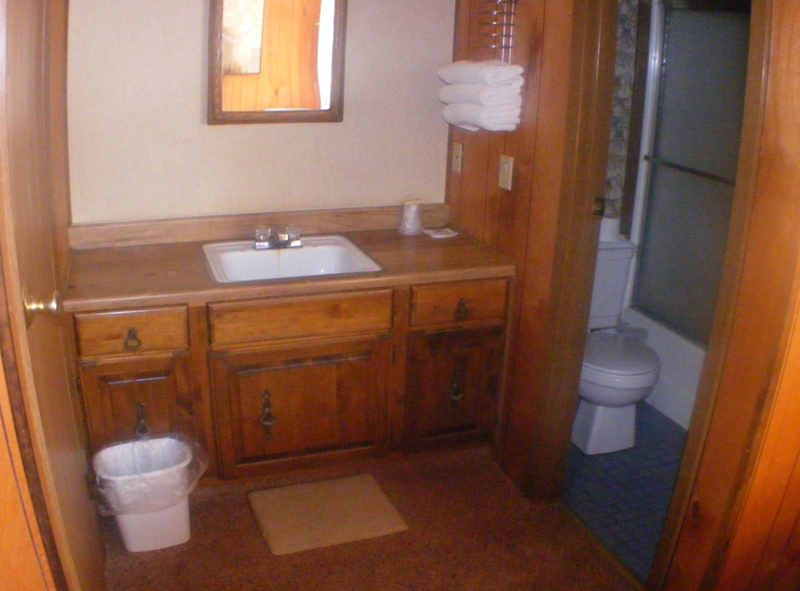 Each room is decorated differently and uniquely, giving it a homey feeling. Every room has a teddy bear to keep you company and can be taken with permission from office manager. 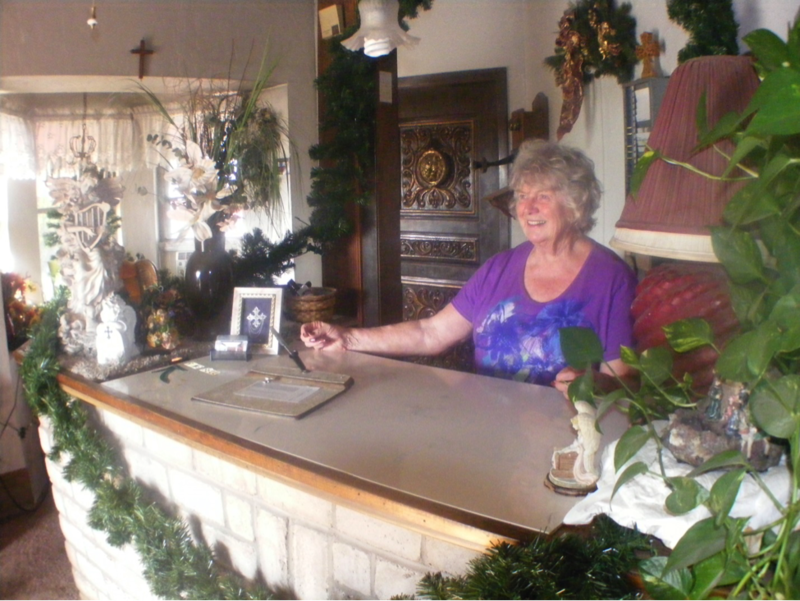 ( Another Sedona AZ) Motel is built on one of the five major earth grids and has tremendous gopathic qualities for giving both a good night’s sleep and other healing qualities. Special rates by the week for those who wish to use the faciliity to help heal/relax their body from stress, or to have the energy and clear thinking to write a book. 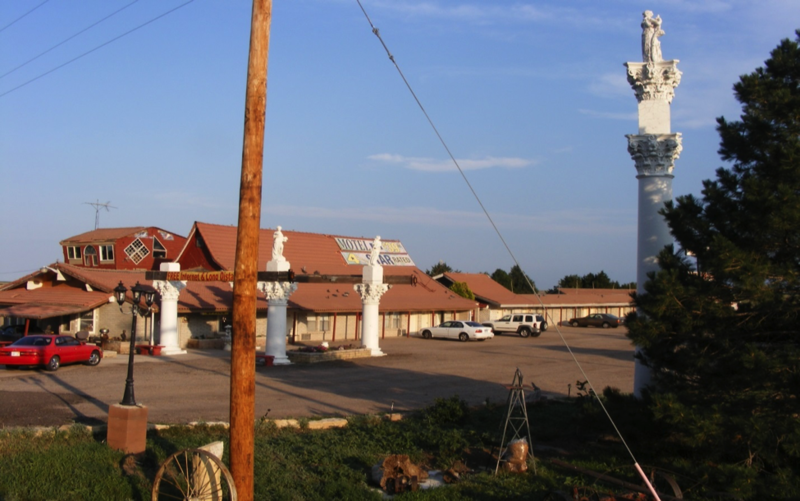 The property history was used by the plains Indians as a spiritual center, similar to Hot Springs, Arkansas. The Pyramids, otherwise known as the Monument Rocks, is one of the 8 wonders of Kansas. Kansas’ first National Natural Monument is formed from deposits left by the western interior sea that covered the area in the ancient days. Only 5 miles south of the motel, is the bronze statue of Buffalo Bill killing a buffalo (3½ times life size). 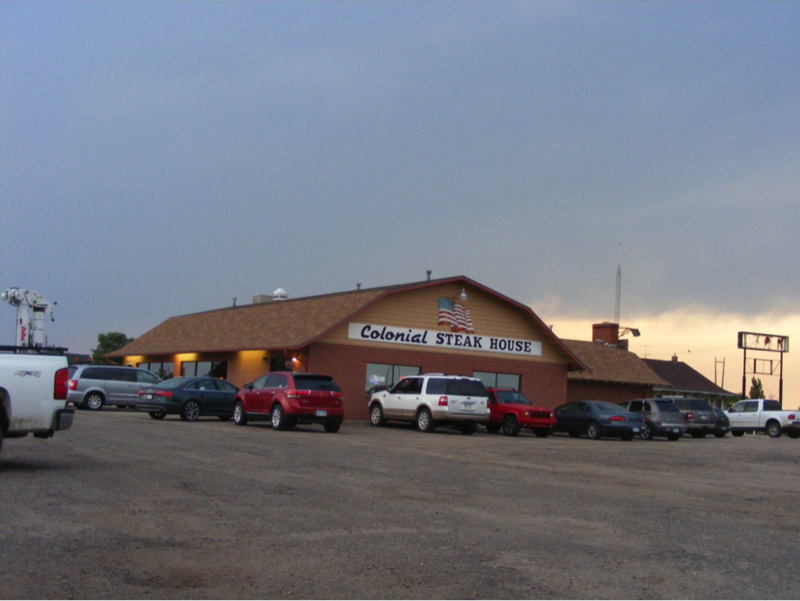 There, in Logan County, is the birth place of the legend “Buffalo Bill”. Home of “largest prairie dog,” is one block south. The nearby town of Rexford has the original Hotel where wyatt Earp played cards. Also see the farmstead, near Fort Wallace, where General Custer had a disagreement with his fellow officers. There is a free museum near old Fort Wallace, Kansas, where western history comes alive. Little old ladies volunteer their services to give free history lessons and tours at these local museums. There are special Indian powwows taking place at certain times of the year in the area. This is where history comes alive! You can do research here that will outdo the history channel and give your family the experience of reliving the past. We Pray for the sick here!